So you have a product you want to import from China, and you want to understand how to get the process started. 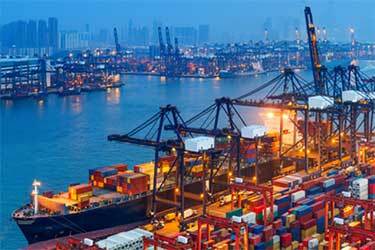 This article will give you the key points to know about importing from China. 1. Is your product ready for manufacturing? We are contacted often by persons who have little more than a product idea; perhaps they have a rough sample, or incomplete drawings. They’ve never tested their product by making a prototype, nor do they have manufacturing-ready drawings. Many of the problems we’ve encountered over the years have been due to projects that were not thoroughly tested, or where they didn’t have complete engineer’s drawings. We even had one guy mail us a sketch on a napkin. This is a recipe for disaster. Chinese factories need engineer’s drawings with all dimensions, tolerances, material, and surface finish requirements. If we submit incomplete drawings or samples to the factory, they will assume they have the right to fill in the gaps as they see fit; usually they’re not very good at guessing what our customers want. It’s always in your best interest to thoroughly test your product by making a prototype, and producing factory ready drawings. We offer engineering and prototyping services and can help you with this process. If your product’s dimensions are not critical, such as a stuffed doll or a toy, we may be able to get away without drawings, but will still need a finished prototype made to exactly as you want it manufactured. This is where we come in. We’ll assign your project to one of our three partner companies, who will then begin the process of sourcing the factory that will be the best fit for your project in terms of experience, equipment, and production capacity. One of my partners once told me they have to make a lot of phone calls for some projects, because the factories aren’t always up front with their capabilities. Our partners are native Chinese professionals; they know the right questions to ask and the pitfalls to avoid. They also know what to look for in a reliable manufacturer. Once we have a factory lined up, we’ll send your project to them for a quote. In addition to your drawings and/or prototype, we’ll need your purchase quantities, the major city you are nearest to so we can include the freight to the nearest customs port, and artwork for any custom packaging. We do completely packaged products all the time, some which involve multiple factories and manufacturing processes (one of our customer’s products involves nine different factories). The minimum order value we work with is US$10,000.00. Many factories will not quote smaller orders, and those that do might not give the same attention to detail or priority in their production process that they would a larger order. Some assume that customs ports are found only on the coastal cities, but customs ports are located everywhere. For example, in the U.S. there are customs ports in Dallas, Phoenix, Denver, and Chicago, among other cities. To make a shipment to a city such as Denver, the sea shipment would be made to a coastal port such as Los Angeles, then loaded on a truck and transported to the customs port in Denver. If your company was located near Denver, we would include the sea and inland freight in the per piece prices. Our standard quote to a customer in Denver would be CIF Denver, which is defined as “Cost, Insurance, and Freight,” meaning the price we are quoting you includes the cost of the product, insurance on the shipment, and the freight to the customs port of Denver. 5. Customs duty, customs broker’s fees, and more. Every country taxes imported products in the form of Customs duty. This tax rate can be duty free, or as high as 100% or more. On average we usually see duty rates between 5-10%. You will need a licensed customs broker to clear the shipment through Customs for you and get the shipment from the Customs warehouse to your door. Customs brokers usually charge around $150.00 per entry for their fee, plus there are other minor charges that are involved in getting the shipment processed through Customs to your door. DDC fees are “destination and delivery charges.” It is the fee charged by the carrier for handling the shipment or container. The rates vary and are based on weight and volume. An average amount to go on would be $30.00 per cubic meter. Bond. This is required by law to back up payment of your duty with US Customs. Normally your broker will pay the bond fee to Customs and then invoice you. Bond fees vary from broker to broker (as they sometimes add a little to the cost) so you should compare prices. In general there is a minimum bond fee of around $80.00; from there the cost is around $4.00 per thousand dollars of invoice value. If you will be importing often you can apply for an annual bond, where you pay a 1 time charge for all shipments you bring in for a year. Annual bonds can be purchased through your broker. ISF entry fee. This is the fee the customs broker charges to file the ISF entry. By US law, all shipments must file an entry with US Customs notifying them of the shipment 24 hours before it leaves port in China. Forklift fee. This is the port of entry’s charge to unload your shipment. Your customs broker’s fee to do their services. We’ve heard of rates as low as $100.00 and as high as $200.00. Inland freight to ship your shipment from the port of entry to your door. At some ports there may be an additional handling fee. You should contact your customs broker for the fees your port will charge. We can refer you to a customs broker with a nationwide network upon request. Our quote to you will include the CIF price to the customs port nearest to you, the factory’s minimum order quantity, and the cost for any mold or tooling charges necessary to make your product. An estimate for the production times for first article samples and the production run will also be included. We will need a purchase order, subject to sample approval, for the production run quantity and any molds or tooling. 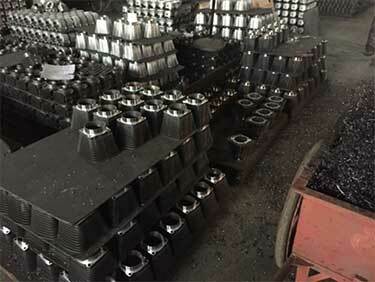 After the factory makes the molds or tooling, they will provide you with first article samples for approval. Manufacturing a new product in China the first time, especially when molds are involved, can be a complicated process. Once new molds are made, the product rarely comes out to spec the first time, and a fine tuning process is needed. We’ve seen instances where the adjustment process can take around a month. This means that if the factory’s originally quoted production time to produce new molds is 30 days, you don’t want to count on samples being on the way on the 31st day. Getting the product right is our first concern, and we encourage our suppliers to take the time to get it right so there are no unwelcome surprises when you receive your shipment. In Western Countries we can often buy anything we want off the shelf in quantities as low as one part. In China they’re not there yet which means when they make a first article sample, they may need to use colors or other features that are available off the shelf; getting a custom run of a specific material or color requires a large volume purchase and many of the raw material suppliers won’t do small runs. This means your first article samples may be made from different colors or even a similar material than the final production run parts. The factory will communicate what they have available for the first article samples. Having said this, as long as you have all details shown in your drawings, the factory knows they are obligated to provide the parts to print so you need not be concerned about the final outcome. The approval process just may look at little different than you might expect when it comes to getting the product off the ground. By U.S. law, all product imported from a foreign country must be marked with the country of origin. “Made in China” or “China” must appear on the individual packaging and master cartons; for some items, “Made in China” must be marked on the product itself. U.S. Customs has specific regulations regarding how imported products are to be marked with the country of origin. Although our factory will print “Made in China” on the master cartons, we need your instructions as to how you want any other packaging or parts marked with the country of origin. If you have any questions as to how your product should be marked, please contact your customs broker, or the U.S. Customs office closest to you. The U.S. Customs website (https://www.cbp.gov/contact/ports) has the phone numbers and addresses of all Customs offices in the U.S.. Customs may prevent you from receiving your shipment if there is product that is not properly marked. Some items, especially high tech electronic with lasers (like CD players) and clothing items may have certain import quota/restriction issues that require some extra documentation. Check with your customs broker if you have any questions in regards to this. The factory and our partner company will perform their own separate inspections. Many of our customers go this way. We offer a third party, independent inspection service for $350.00. Some of our customers who have parts with critical, high tolerance requirements prefer this route to insure that the parts are made to print. Once you’ve signed off and accepted that the shipment can be made, our partner company in China will have their shipping company get the shipment in process. Your customs broker will file the ISF entry 24 hours before the shipment leaves port, and it will be on the way to you. Once the shipment arrives at the customs port, your customs broker will clear the shipment through US Customs, and take care of getting the shipment to your door. If you have a product you’d like to consider importing from China, Contact Us. We have helped hundreds of companies do this over the last couple decades.